It’s extremely frustrating when stubborn areas of fat don’t respond to diet and exercise. 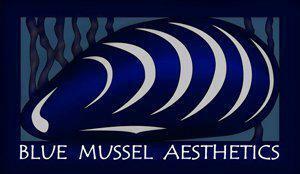 That’s typically when the highly trained medical aesthetic professionals at Blue Mussel Aesthetics in Juneau, Alaska, recommend fat reduction and body contouring with CoolSculpting® treatments. This nonsurgical procedure targets stubborn pockets of fat and freezes away fat cells so you can enjoy a more contoured body shape. Call or schedule a consultation online today to learn if noninvasive CoolSculpting is right for you. CoolScultping is an FDA-cleared fat-reduction treatment that works by a controlled cooling process targeting areas of stubborn fat that is resistant to diet and exercise. It safely eliminates unwanted fat cells and freezes them so your body can flush them away through your lymphatic system. Results can be noticed in the first three weeks after treatment, but you experience the most dramatic results in about two months. Your body continues to flush the damaged fat cells from your body for 4-6 months after treatment. Fat loss from CoolSculpting is permanent and fat cells will not regenerate in the same area again. Am I a CoolSculpting Candidate <–- Take this quiz and find out. At first, you may feel intense cold or stinging as the applicator lowers the temperature of the cells below the surface of your skin. These cold sensations are usually well tolerated and subside in about 10 minutes, once the area becomes numb. You can relax comfortably, read, or even take a nap while CoolSculpting freezes away your fat cells. In most cases, you can return to your daily activities immediately following your treatment session, since there’s no downtime or recovery period. CoolSculpting is priced by cycles. Areas may need multiple cycles and/or multiple treatments. This will be determined individually by one of our professionals at your consultation.